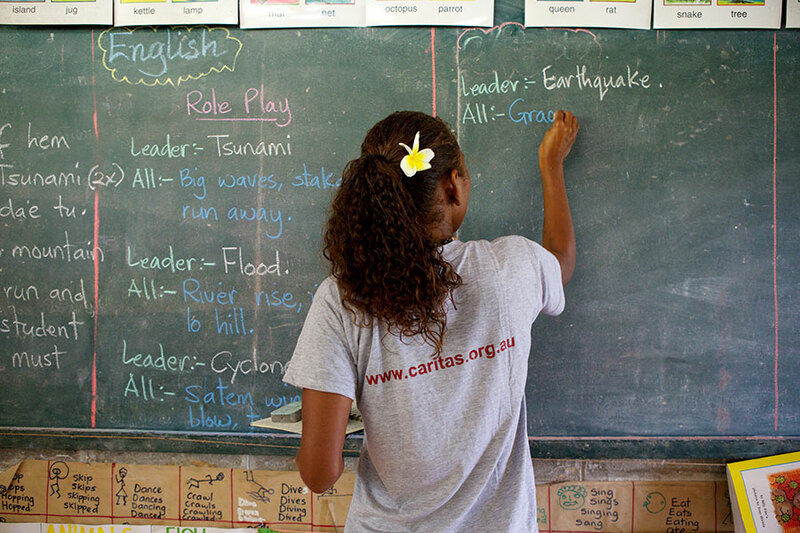 Caritas Australia is the lead consortium partner in the Church Agencies Network Disaster Operations (CAN DO) network. CAN DO brings together Caritas Australia, Act for Peace, Adventist Development and Relief Agency (ADRA), Anglican Board of Mission, Anglican Overseas Aid, Australian Lutheran World Service, Transform Aid International and Uniting World. CAN DO collectively shares a deep commitment to providing humanitarian response to disasters, and longer-term preparedness and risk reduction. We work with Indigenous, grass-roots organisations to overcome poverty and injustice through empowering and capacity building of local people. Through the AHP, Caritas/CAN DO has received funds as part of: the 2018 PNG Highlands’ earthquake (protection, shelter, WASH, early recovery activities); Vanuatu’s Ambae volcano crisis (protection activities); and the Sulawesi earthquake and tsunami in Indonesia (water, shelter). Within the AHP Disaster READY program, Caritas/CAN DO is implementing preparedness activities in Solomon Islands, Vanuatu, Fiji and PNG. In 2017, Caritas Australia received $2 million through the AHP for their Jordan education program. In 2017, Caritas Australia received $350,000 through the AHP to assist in responding to the Ambae volcano crisis. In 2018, Caritas Australia received $2 million through the AHP to fund education activities in Jordan.